Rich Harshbarger has been selected the new CEO of Running USA, the national industry non-profit organization, it was announced. A native Californian, Harshbarger is the organization’s fourth CEO and succeeds Susan Weeks (2008-2013), Basil Honikman (2000-2008) and Steve Edwards (1999-2000). Harshbarger, 44, has been Vice President of Consumer Marketing and Communications for Detroit Media Partnership since May 2008. His responsibilities include overseeing the day-to-day marketing functions for the most used media brands in Metro Detroit including: The Detroit News, Detroit Free Press and their award winning websites. 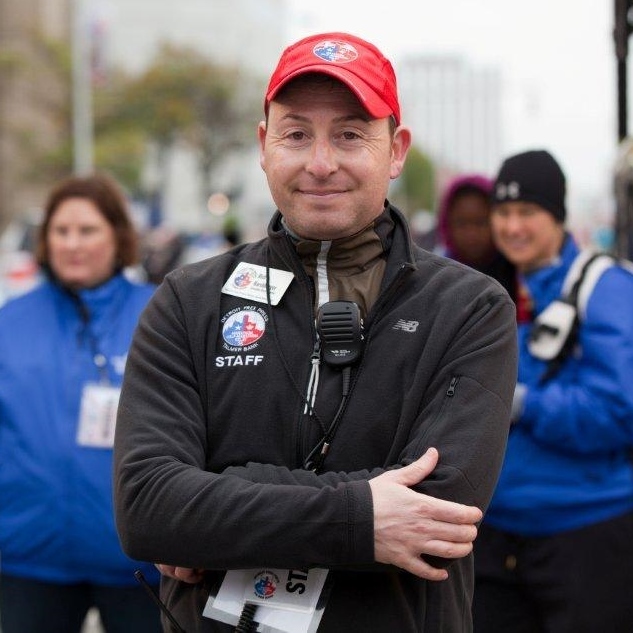 Harshbarger also acts as Executive Race Director for the Detroit Free Press Marathon, an annual event with nearly 30,000 runners from around the world. He has worked for Gannett Co., Inc. for 19 years and has held similar posts in California, Ohio and Missouri. Harshbarger, a California Bay Area native, former competitive swimmer and now a fitness runner, holds a Masters of Science degree in Integrated Marketing Communications from Northwestern University and a Bachelors of Science Degree in Journalism from the University of Kansas. This entry was posted on January 29, 2014 by News in Producer Donna Balancia and tagged By DONNA BALANCIA, Harshbarger CEO, Rich Harshbarger, Rich Harshbarger Gannett.